The archaeological site of Pompeii continues to be a valuable source of evidence of life in ancient times, in particular during the years of the Pax Romana. 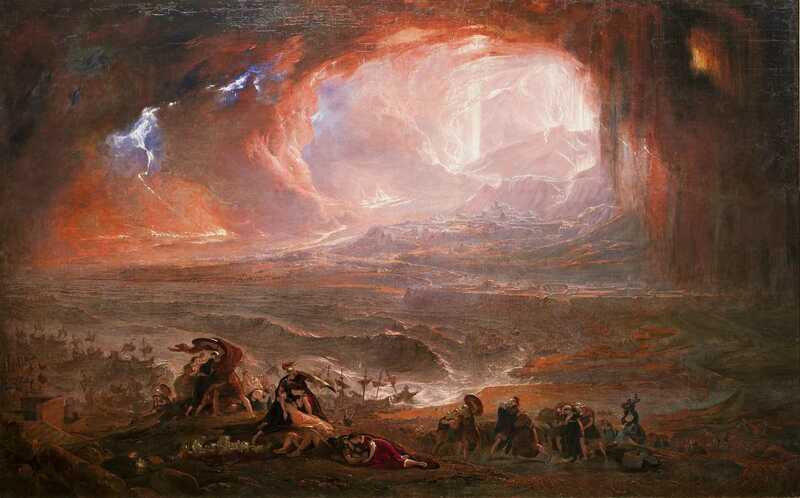 Yet, during this phase of relative peace and stability for the Roman Empire, in 79 A.D. the eruption of Vesuvius in Campania disrupted the existence of inhabitants of nearby villages which were buried by a thick layer of ash and pumice. A large number of submerged items have been preserved thanks to the lack of air and moisture, and among these is the oldest known bottle of olive oil, recently examined and displayed in Naples. Over the past few weeks, a major breakthrough brought olive oil and history together again when Giulia Ammannati, a professor of Latin paleography at the Scuola Normale Superiore of Pisa, discovered that a charcoal epigraph that redefined that fateful date of the eruption from August to October actually referred to olive oil. The revelation arrived after the experienced paleographer accepted the invitation by the General Director of the Archaeological Park of Pompeii, Massimo Osanna to evaluate an inscription found on a wall of the ‘Garden House,’ located in the area of the Regio V.
The approved translation of the entire sentence would, therefore, be: “On October 17 they took [something] in (or from) the olive oil pantry, revealing the presence of a warehouse where olive oil was stored,” the Tuscan researcher told Olive Oil Times. “It is not excluded that wine and other foodstuffs were kept in this backroom of the house.” And now we have to discover it, the General Director Osanna tweeted while announcing the revelation. 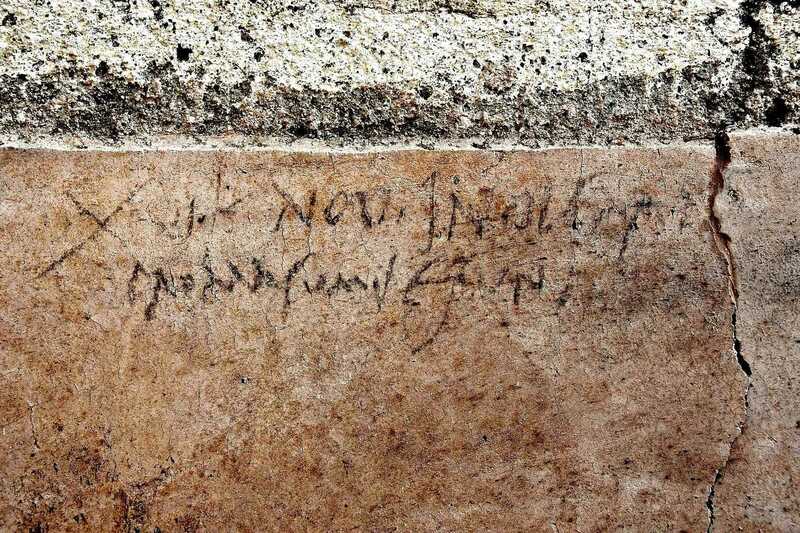 The inscription was found in a part of the house which was likely under restructuring at the time of the eruption when the rest of the building had already been completely renovated. According to the experts, charcoal, which is fragile and evanescent, could not last long over time, thus there is little doubt that it was written in October 79 A.D., just a week before the catastrophe. “The study is progressing, but we can immediately recognize how important this finding is, because thanks to a series of evidence, we can tell that the eruption took place on October 24, and not on August 24 as was previously thought,” Ammannati revealed. “The year is not reported, but a series of elements of the context allowed us to confirm that period.” Archaeological findings, such as pomegranates and berries which do not grow in summer, furtherly confirmed that the main event happened in the autumn of 79 A.D. Thanks to this inscription we can also make very interesting considerations about the habits at that time. “It was certainly an extemporary annotation, a kind of service note, destined to have a value limited in time and a rapid caducity due to its contingent utility,” Ammannati pointed out, describing an ancient memo that can be compared to an ancestor of the modern post-it note. And in fact, part of the annotation appears to have been erased, as if what the reminder had been accomplished. Spectrometric and ultraviolet reflectographic investigations will be carried out to detect traces of the deleted words. “Moreover, the note is located near a service area which was managed by the housekeeping staff, and it brings to our attention domestic details which are often kept at the margins of literature, that is why it is even more interesting,” Ammannati concluded. At the time of writing, the archaeologists have already unearthed the “Garden House” entrance, the dining room and the huge green area that gave the building its name, while the service area should be completely retrieved within a few months. So presumably, the olive oil pantry, which still lies beneath the mantle of volcanic debris, will, at last, come to light.